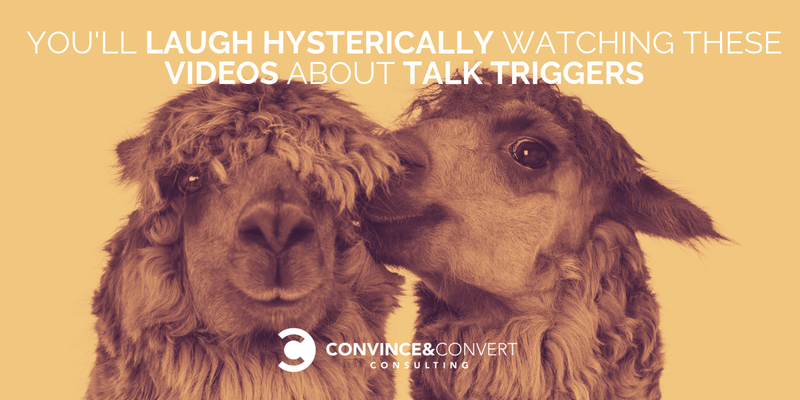 When we put together the marketing plan for Talk Triggers, we thought it would be fun to share it with friends early. 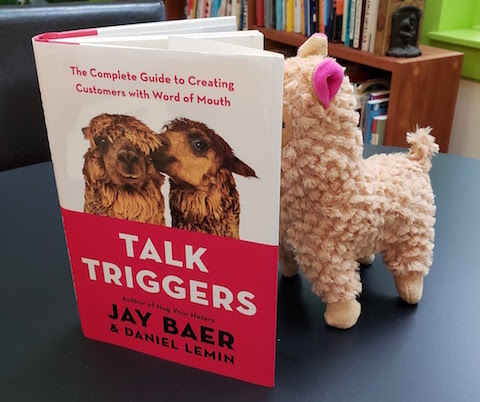 We decided to package the book up with some of the key elements of the case studies: signature chocolate chip cookies from Doubletree by Hilton, a hot pink headband from Uberflip and … a soft, plushy stuffed alpaca. We didn’t know exactly how people would respond and didn’t ask for anything specific. They made more than 65 minutes of some of the funniest videos we’ve ever seen. 1400+ shares, likes and comments on Facebook alone. 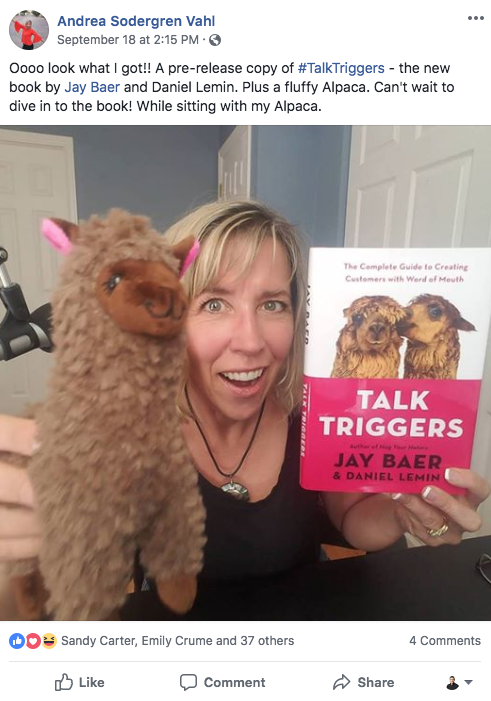 Hilarious photos of themselves in the wild with the book, alpacas and cookies. We’re so grateful to the support of our friends who no doubt had countless other (frankly probably better!) ways to spend their time, and chose to show us some love. We’ve rounded up some of the highlights here, but it’s just a small fraction of their creative genius! These appear in no particular order. Julia McCoy, to whom we owe an extra alpaca and headband … this wasn’t the first report we heard of children raiding the box. 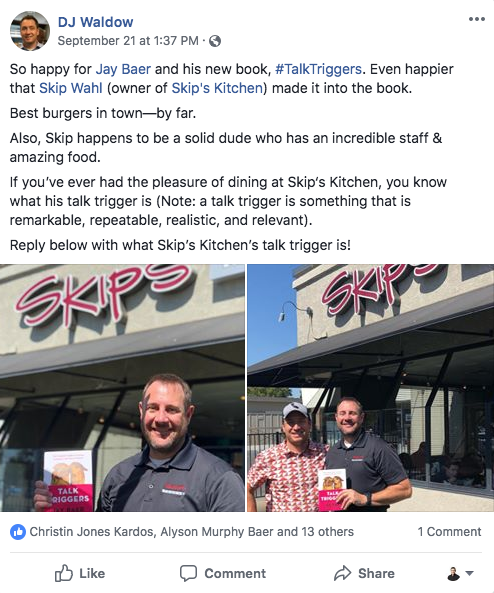 DJ Waldow, who went to Skip’s Kitchen for a photo opp. They’re one of our case studies in the book and also a darn fine place for a burger. Andrea Sodergren Vahl, who managed to end upstaged by the alpaca—they’ll do that! Judson Laipply: what can we say? In awe. Not only can he rap (sort of), but also has copywriting skills that put us all to shame. Brian Fanzo, who threw the curve for video duration (22:44!) and also was willing to forsake his own talk trigger, his hats, in lieu of the Uberflip headband. He is such a great example of how to stand out as a speaker, in both content and differentiators. Mark Schaefer: master of puppets, significant storytelling and uncanny realism. Colette Carlson, who inspired my keynote for Talk Triggers. Sequins, Bonnie Raitt, and lots of love. Josh Bernoff, who will probably be the single reason someone asks us for a first-edition signed copy of The Birds of America. Heidi Cohen, who braved a cool fall day on the beach to bring us this. Adam Buchanan, who took time out of his amazing and Ralph Waldo Emerson-inspired retreat into the woods to give us a shout out. We’re not sure he’s returned yet. Should we send more cookies? Christopher Penn, who went into a fabulous Ph.D.-level class on the topic and dug in deep with his own dataset. Susan Baier, who not only was the wizard behind our research, she also knows how to rock a pink headband. Steve Woodruff, who was so generous with his time in multiple videos from his Clarity Over Coffee series, and also has great taste in coffee. Ian Altman, who sacrificed his beloved alpaca to the dog. 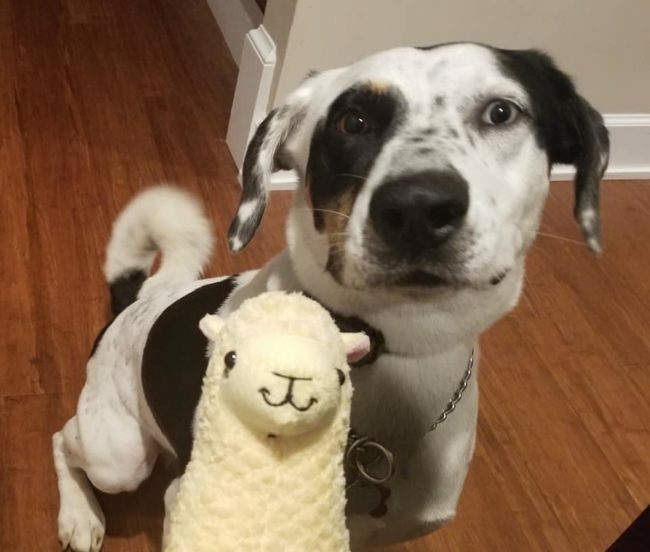 The same thing happened to me, and now the search is on for replacement alpacas. Mike Ganino, for his forgiveness of horrible packing peanuts and also, his genuine alpaca enthusiasm. David Newman, who schooled us so eloquently on the true roots of the Talk Triggers concept; it dates back to 2013! Phil Gerbyshak, the best alpaca hug and also an amazing talk trigger: his glasses! Ramon Ray, who brought his trademark warmth and energy straight back from a trip to Mexico. Meredith Miller Oliver, who went in search of real-life alpacas but found only chicken; we’re pretty sure no alpacas were harmed in the filming of her video. 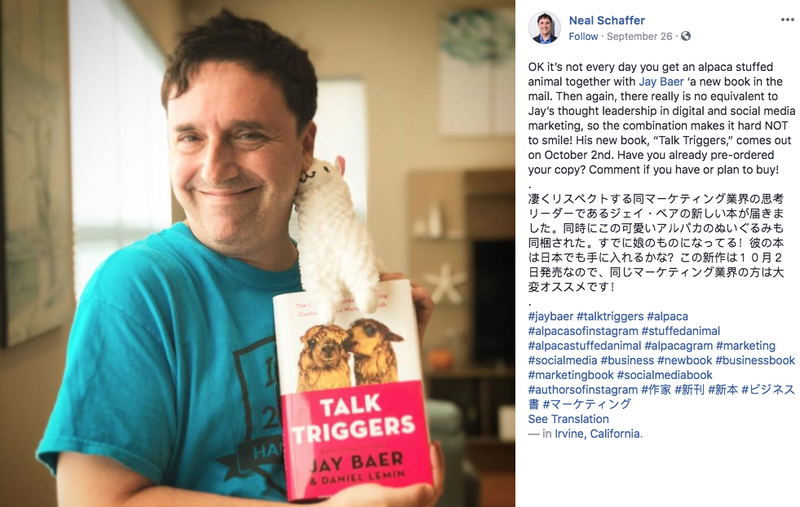 Neal Schaffer, who overachieved by delivering a review in not one but two languages!